Spoofing 101: What is it? You often hear news about cyber attacks where perpetrators “spoof” IP addresses or MAC addresses, to name a few. What exactly does this mean though? Is this a complicated thing to do and how can we better protect ourselves? If you think this is a complicated task to accomplish or requires some type of computer wizardry, well, you’re on the right track but it’s not as complicated as you may think. Personally, I tend to over-complicate things myself at times, but the best way to validate if something’s complex or not is really to just test it out by doing it yourself. So, here we go – let’s learn how to spoof a few things! 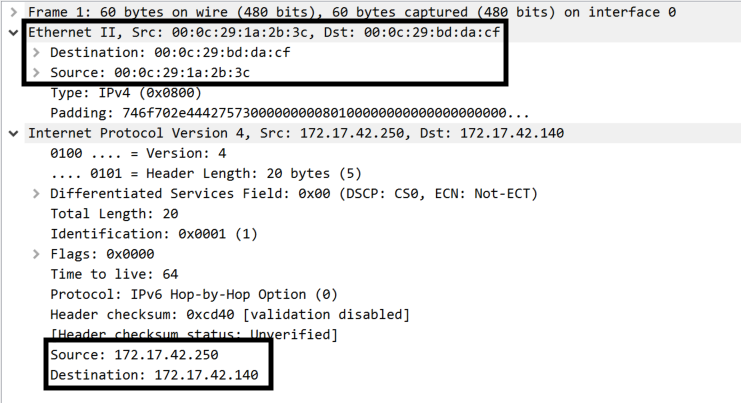 This post will cover spoofing IP addresses and MAC addresses. To be clear, we see two ping requests in 4 packets under the “No.” column on the left side. Under the “Info” column you can see “Echo (ping) request…” or “Echo (ping) reply…”. The request is just that – my Ubuntu host requesting a response from the IP it’s pinging (in this case my Windows 10 instance). The replies are responses to those requests, much like saying “hi” to someone and receiving a replay back (note that responses from individuals may vary depending on that individual). Packets 1 and 3 originate from my Ubuntu IP and the responses are packets 2 and 4. You can see the designated IPs in the “Source” / “Destination” column of the above screenshot. Okay, so if you’re still with me and I didn’t lose you, let’s now wrap this post up with the answer to the other question – how can we better protect ourselves in situations like these? Fortunately for IP address spoofing, WatchGuard does this by default and is as simple as you could imagine. There is a feature known as Default Threat Protection that validates incoming requests on the specified interface. 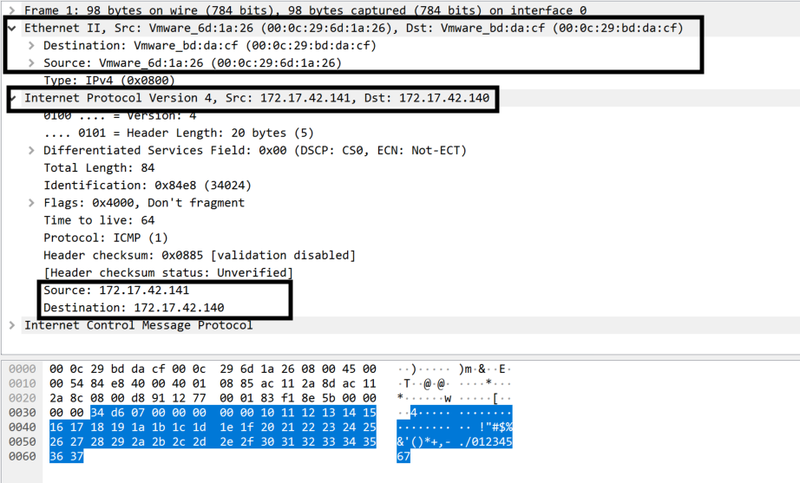 Read this for official documentation but in short, the WatchGuard firewall verifies incoming packets and their destination on many levels. As an example, if a computer from the internet on interface 0 for instance (the default External interface that allows internet-bound communications) has a spoofed IP address of an internal IP address, this triggers the firewall’s “spidey” senses and blocks this. As for spoofing MAC addresses, that isn’t as easy because clients themselves are sending arbitrary MAC addresses and a firewall cannot control what they send, only what the firewall does to handle such circumstances. In addition to this, MAC addresses don’t traverse the internet, only local network traffic. So if you’re concerned about MAC spoofing and there is a legitimate threat, then that means you have bigger issues due to an attacker potentially already being within the local network. There is an ability to whitelist / blacklist MAC addresses but that can be defeated by said attacker. Now what you can do is initialize some sort of authentication requirements which forces clients to authenticate against an authentication server by entering credentials, only then permitting access. There is a process to do this which can be found here.